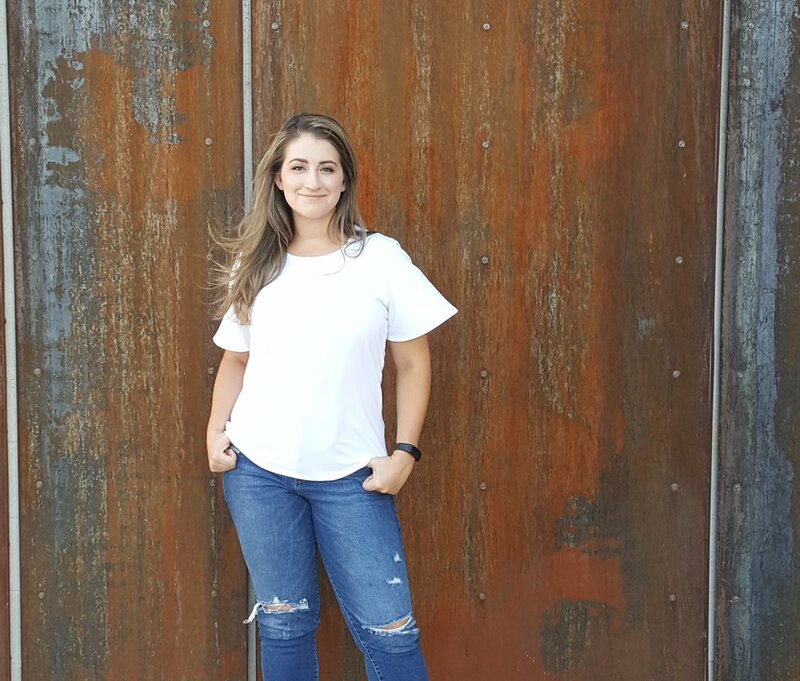 I can think of at least 5 ways I've hacked my favorite basic tee pattern, which is the women's Metro Tee from Liesel and Co. 5 tee patterns are saved in my pdf pattern files and no matter how many times I try them I always come back to the Metro Tee. 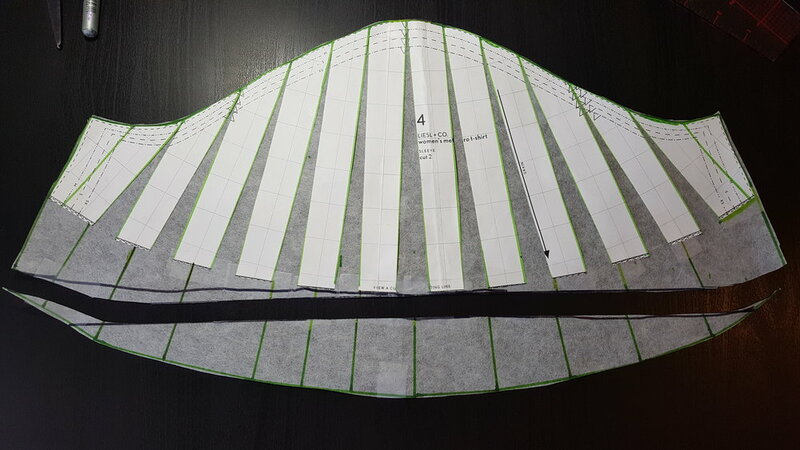 The Metro Tee is the pattern I will be using in this hack tutorial but you can utilize the same methods with other patterns. This hack can make your basic sleeve into something new within a matter of a few minutes. Inspiration photo from Anthropology below. You will create a hinge to expand the sleeve. This is commonly called the split and slash method and it can be customized in any way to fit your needs. Tape the original pattern down to whatever you plan to trace onto. This will keep the pieces exactly where you want them and then connect the pieces to make your new flutter sleeve. I love my style and design ruler, which is what I use on a regular basis, especially when hacking but you can definitely just line it up and trace. Below I added 2" in length to the entire flutter sleeve. 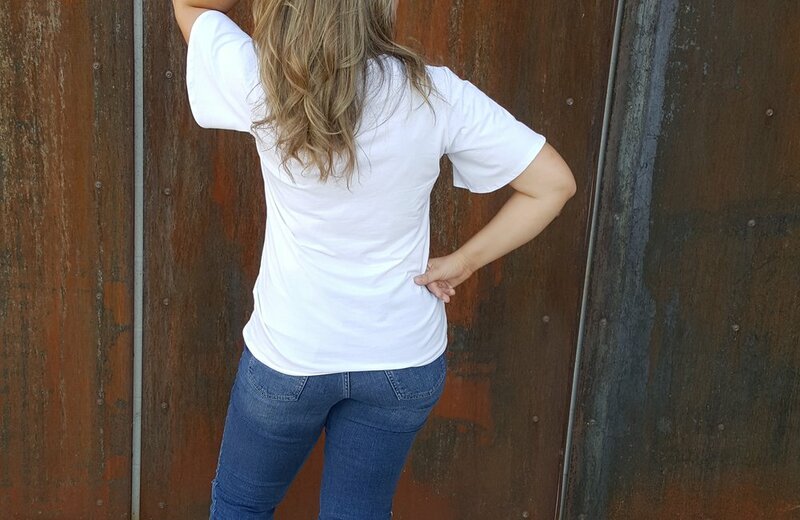 The white tee below is the Metro Tee with a flutter sleeve hack along with the added 2" in length. I love the look but it wasn't exactly the Anthro look I was going for. 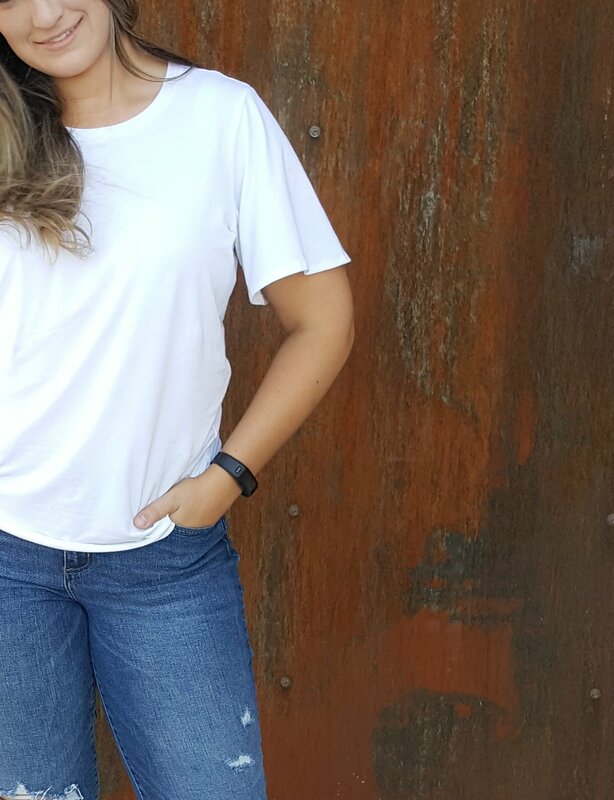 The white tee, I love and wear often but it was hitting my arm with too much length and it wasn't exactly as the Anthropology inspired look I was going for. I took the hacked sleeve pattern and left the length under the arm and graded the top of the sleeve back down to the original sleeve length. 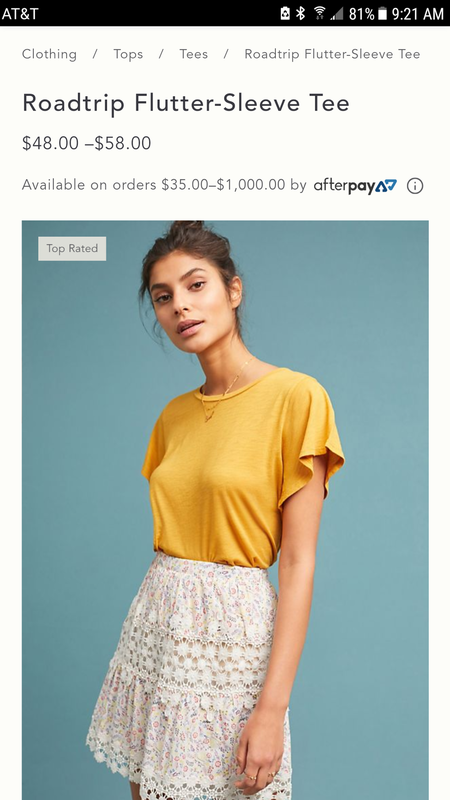 You can now hack your way to a $60 Anthropology tee shirt. The camo fabric is french terry and it doesn't have much drape to it as in the original inspiration photo BUT I'm sure with my next make it will definitely have the drape I'm looking for. You can always play with the measurements to fit your needs. 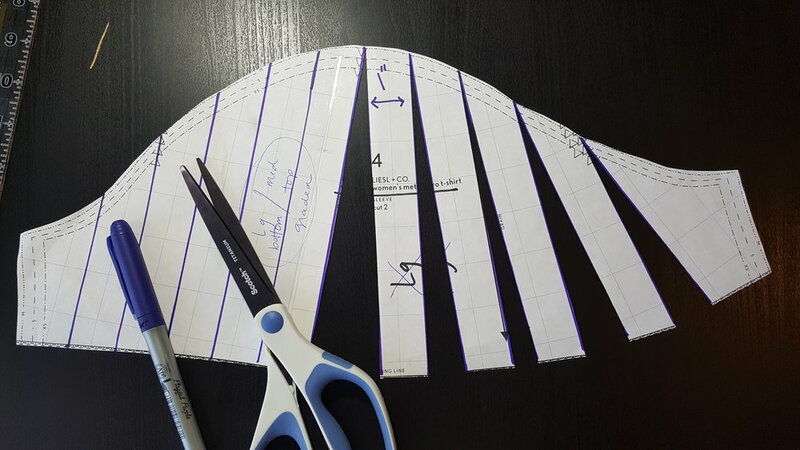 If you want less flutter, make the measurements smaller during the split and slash method. If you want more flutter make the measurements larger etc. I've been wearing these shirts non stop the last few weeks and I'll definitely be making more. If you try this hack please let me know how it works for you!